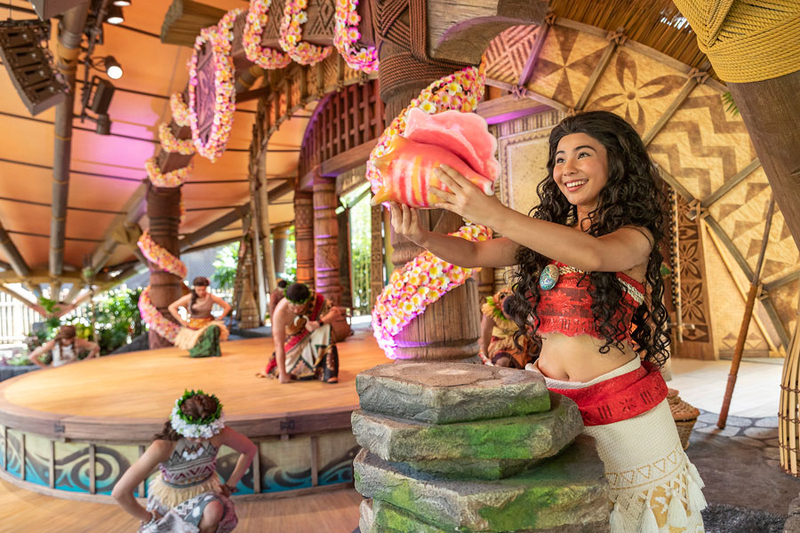 The brand new atmospheric stage show, Moana: A Homecoming Celebration held it’s first performance at Hong Kong Disneyland on Friday, May 25th. Moana’s arrival at the resort is part of Hong Kong Disneyland’s multi-year expansion and was announced earlier this year. 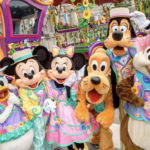 This week, the Disney Parks Blog shared the exciting news about the brand new show’s debut. 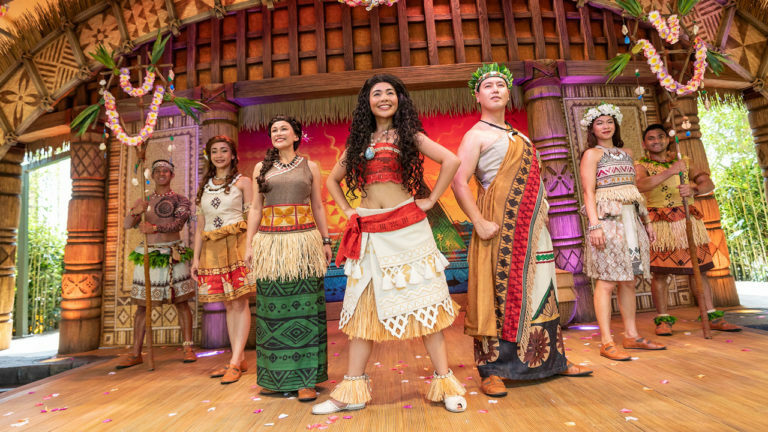 On May 25th, Hong Kong Disneyland debuted a new atmospheric stage show featuring Moana. Moana: A Homecoming Celebration is a 20-minute live show that uses inspirational visual storytelling, dancing, puppetry and music to bring to life Moana’s brave and heroic adventures. When Moana returns home from to her village of Motunui, she shares the thrilling story of her encounters with pirates, the Demigod Maui, and of course restoring the heart of Ti Fiti. The cast includes Moana, six performers, and two live drummers to recreate Moana’s adventures. 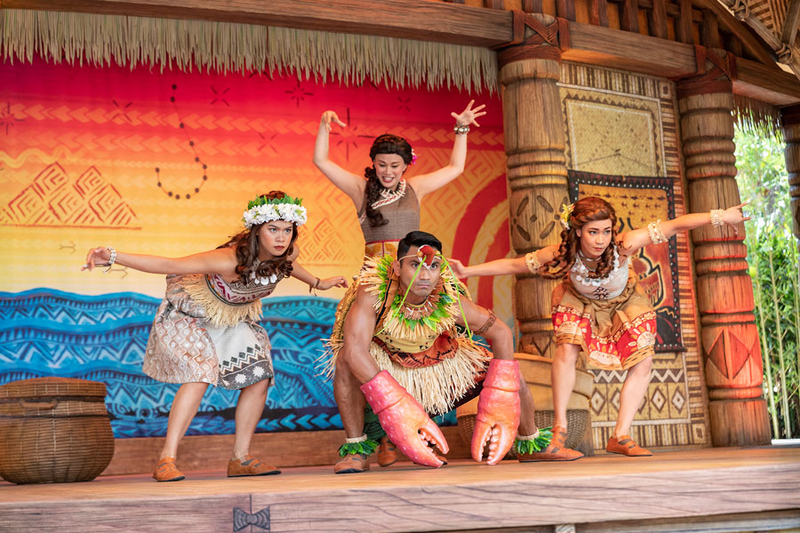 The show features 30 custom made props, speciality designed costumes, and handmade decorations that were inspired by the film and traditional Polynesian culture. 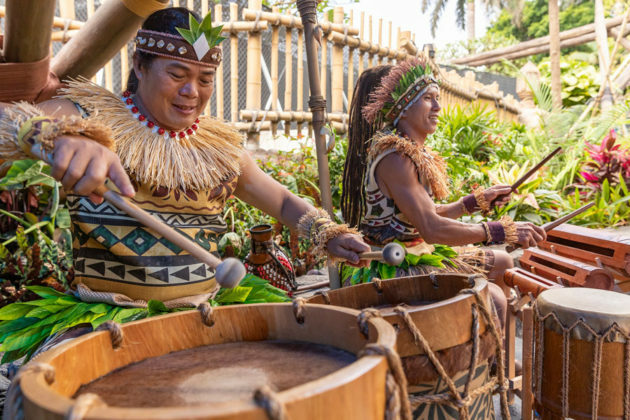 Moana: A Homecoming Celebration is performed at the all new, Jungle Junction in Adventureland. 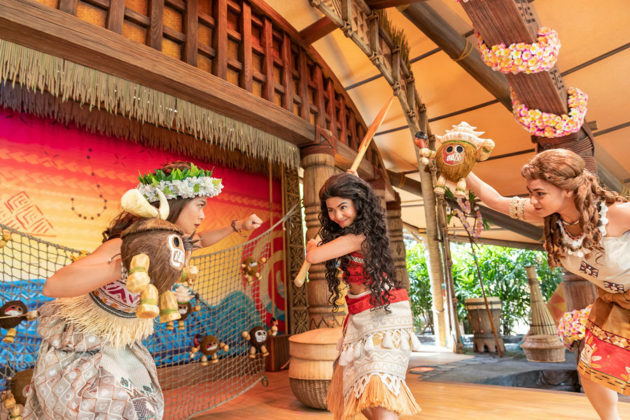 Guest will also have the opportunity to meet Moana in Adventureland. 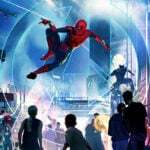 An all-new Ant-Man and The Wasp attraction will debut next year as the park continues to expand its Marvel-themed area. 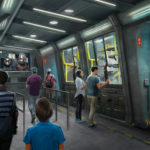 The attraction joins the Iron Man Experience that opened in January 2017. In 2021, Hong Kong Disneyland will open an immersive Frozen-themed area where guests will be able to experience a Summer Snow Day created by Queen Elsa for the enjoyment of her entire kingdom.